The UK is on the brink of meeting the 25 per cent target set by Lord Davies in his 2011 spring report for the percentage of women on our FTSE 100 boards by 2015. The Davies Steering Committee (of which the author is a member) was established at the end of 2010 by the then Prime Minister, Gordon Brown, to address the male-dominated corporate boardrooms in the UK. At Cranfield, we had been reporting on the progress (or rather, lack of progress) women were making on the top FTSE 100 boards since 1999. Back then, 6.7 per cent of directors on those top boards were women and that figure had increased marginally to 12.5 per cent at the end of 2010, when the Prime Minister decided to intervene. Interestingly, in 2010 the three countries in the world that had pioneered the measurement and monitoring of women on top corporate boards i.e., the USA, Canada and the UK, had all plateaued. 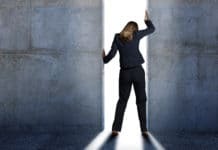 At the same time, Justice Commissioner Viviane Reding at the EU was proposing a new directive that would require all listed companies to meet a quota of 40 per cent women on boards by 2020. It has faced significant opposition from a number of the member states in the European Council, but looks increasingly likely to be approved now that Germany has brought in its own quota system. Germany’s biggest companies will have to ensure that 30 per cent of supervisory board positions are held by women from 2016. The new rules are expected to affect about 100 listed companies with employee representatives on non-executive supervisory boards. A further 3,500 firms will be required to publish gender equality targets. While we did not achieve 33 per cent new appointments going to women each year, this was compensated by an increased turnover of 17 per cent in 2012 and 2013. Thus, the graph shows two trajectories – one based on a turnover of 14 per cent and one on a turnover of 17 per cent. 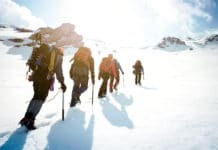 I believe it is because we took such an inclusive approach that we have been successful in so far as we are at 23.1 per cent women on our FTSE 100 boards and all-male boards have been eradicated (there were 21 in 2011). It is unnecessary to sell the business case for gender diverse boards because everyone should realise that it is good talent management, better understanding of many of our markets where women are key customers, enhanced company performance (not just financial but also non-financial, for example, corporate governance, innovation and ethics) and better leadership. It is amazing to think that in 2011 a company such as Mothercare, dedicated to the needs of mothers and children, had no women on its board. What works in one country may not work in another. I have consistently argued that each country needs to find an approach to fit with its own specific social, cultural and political context. Countries also vary in their corporate governance arrangements, so while the UK and the US have unitary boards, many countries in Europe have two-tiered boards. The latter, I believe, adds a little latitude to making board appointments. I am optimistic that the UK will meet the target of 25 per cent on FTSE 100 companies this year. 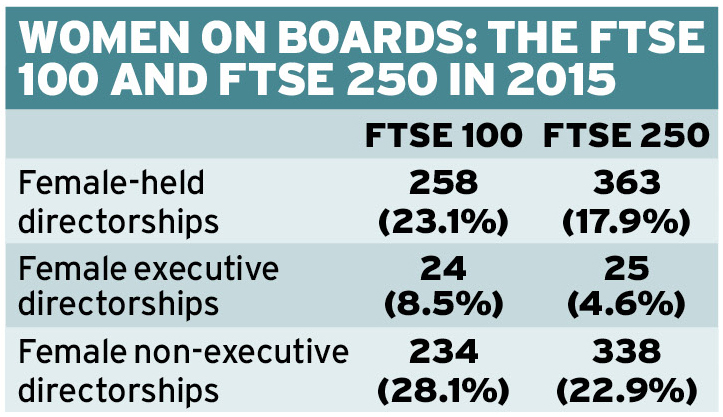 It will take a little longer for the FTSE 250, but they started out at a lower base in 2011 (7.8 per cent women on boards compared to 12.5 per cent on FTSE 100 boards). Success has been achieved by the huge efforts of many stakeholders. Before concluding this article with a ‘Good job done’ comment, it is important to remind everyone that the majority of progress has been achieved through the appointment of increased numbers of women into NED (non-executive director) positions. The fundamental challenge is better management of our talented women so that they are developed into executive positions. 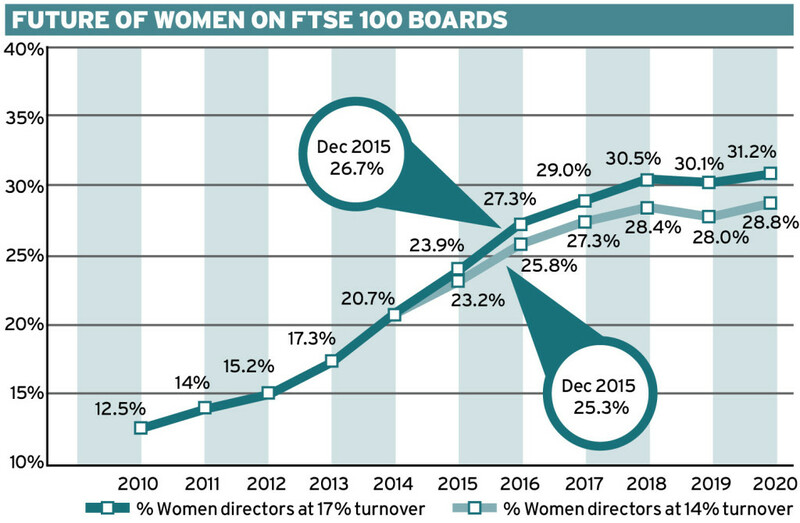 Only 8.5 per cent executive directors across FTSE 100 companies are female (that is an all-time high), while the comparative percentage for FTSE 250 companies is 4.6 per cent. We need another Lord Davies-type initiative to tackle this deeper, more pervasive problem. 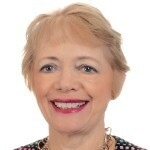 Susan Vinnicombe CBE is the Professor of Women and Leadership and Director at Cranfield International Centre for Women Leaders. 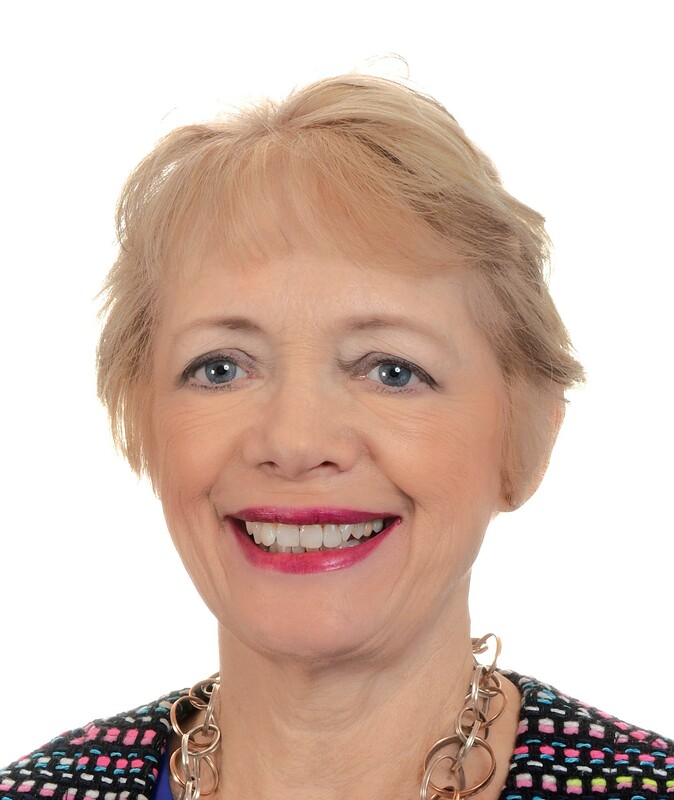 Susan’s particular research interests are gender diversity on corporate boards, women’s leadership styles and the issues involved in women developing their managerial careers. Susan’s Research Centre is unique in Europe with its focus on women leaders and its annual Female FTSE Report that is regarded as the premier research resource on women directors in the UK. Susan has written ten books, over one hundred articles, reports and conference papers while her co-authored latest book, “Handbook of Research on Promoting Women’s Careers” was published in 2013. Susan is regularly interviewed by the press and media for her expert views on women directors, is a frequent keynote speaker at conferences and Founder and Chair of the judges for Women in the City Awards and a judge for the Sunday Times best NEDs of the year awards. Susan receives recognition worldwide and was honoured recently by The International Alliance of Women (TIAW). Susan was awarded an OBE in the Queen’s New Year’s Honours List in 2005 and a CBE in the Queen’s Birthday Honours List in 2014 for her Services to Diversity.